A couple of my favorite books lining my bookshelf these days… cause who doesn’t need a little fashion read this summer?! A delightful peek into the life and career of this fierce lady. Having helped shape 20th century fashion into what it is today, Diana Vreeland is a force to be reckoned with. Let’s just say this biography is aptly named. Page upon page of gorgeous gems + jewelry designs by the House of Dior. Delicious and yummy and sure to inspire. Never far from my reach, this comprehensive book explains the gorgeous natural materials used in jewelry design and adornment. Chalked full of photos, it includes great historical, thematic and scientific tid-bits. The photos are woderful. This man is just straight-up amazing… enough said. Beautiful. Willful. Charming. Blunt. This memoir is every reason why I love Vogue’s creative director so very much. 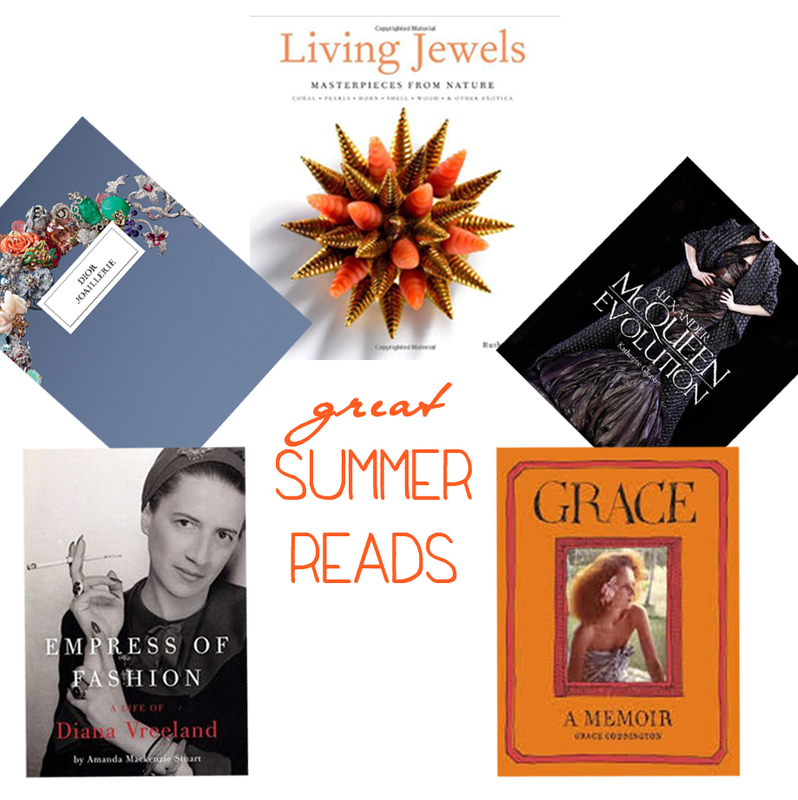 This entry was posted on June 23, 2013 by elisabeth in design inspirations, fashion + designers, our favorite things and tagged Alexander McQueen, diana vreeland, Fashion books, Grace Coddington.